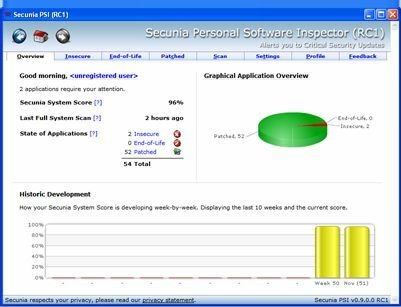 Secunia PSI is free for private use only, and it’s for Windows. What’s great about this program is that it scans your applications and tells you which applications on your computer are insecure, or end-of-life. If it’s neither of those, then it’ll tell you if there are critical security patches or updates and helps you keep on top of any sort of security breaches that could occur. What this does is, it accesses a database of some sort since the physical footprint is so small over the Internet. Then it makes sure you’re updated on all of your Windows updates and it checks your apps. That’s pretty useful since many people don’t keep on top of their application updates which could allow for a security breach based on old software.